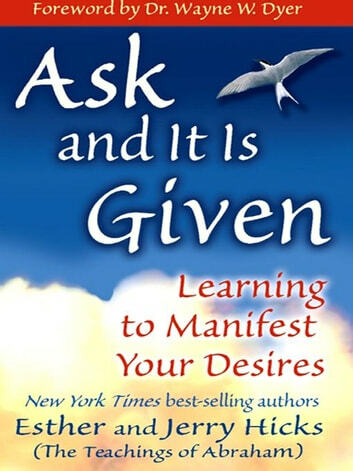 Ask and It Is Given by Esther and Jerry Hicks which presents the teachings of the nonphysical entity Abraham will help you learn how to manifest your desires so that youre living the joyous and fulfilling life you deserve. As you read youll come to understand how your relationships health issues finances career concerns and more are influenced by the Universal laws that govern your time/space realityand youll discover powerful processes that will help you go with the positive flow of life. Its your birthright to live a life filled with everything that is goodand this book will show you how to make it so in every way! The book is simply presented, easy to read and digest quickly. It is one of the better books on manifestation I have encountered. There is a focus on emotional side of manifestation. The book does get a little repetitive in some of the concepts it presents. However, they are valuable ideas that are worth drilling into your memory, so that didn't bother me too much. Like the rest of "Abraham's" material I have found this book to have a very positive and empowering influence. I am learning to become more in touch with my spirituality and this book has helped me do that. I had a little trouble at first listening to a 'spirit' give me advice, but once I got over that the advice given is practical, really positive and helps you look at things in a new way. I really liked the activities the book gave me to do. I love the teachings of Abraham. I always get so much out these books and feel my vibration shift. Love it!! Beautifully and simply written, short book - but packed with great tips to navigate life.